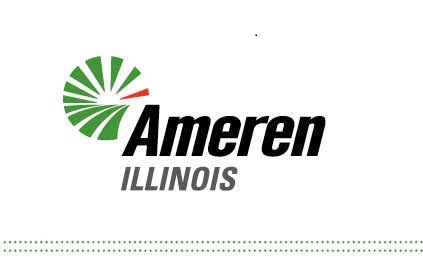 As Public Awareness Supervisor for Ameren Illinois — a regulated energy delivery company based in Collinsville, Illinois — Gina Meehan-Taylor serves as a spokesperson and educational liaison on natural gas safety. Every year, she travels extensively to share lifesaving messages with the public and emergency response officials in more than 1,500 communities. Gina began her career at Ameren in 1988 as a Meter Reader and went on to hold a variety of positions that involved working with high-pressure gas pipelines. Over the years, Gina has served on the Midwest Energy Association’s Measurement Committee, as a member (and prior chair) of the MEA’s Safety and Training Committee and as Gas Director on the board for JULIE, the Illinois one-call system. She remains active in the industry today as a member of JULIE’s Public Education Committee. 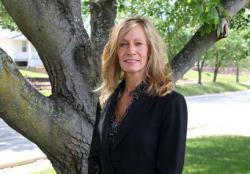 Gina also keeps safety in the spotlight as a member of the Operating Committee for the Illinois Pipeline Association. Gina lives in Canton, Illinois with her husband, Dan, and dog, Marley. Her blended family includes three sons, a stepson and a stepdaughter. She enjoys working out, golfing, fly fishing and spending time with family. Much of her free time is devoted to bettering the community she calls home. Gina volunteers as a YWCA board member and also provides a weekly meal for the Invictus Woods Recovery Home in Canton. She also organizes and hosts an annual charity golf outing to benefit Alzheimer’s research, in memory of her late father, Jim Meehan. WARNING: Attending this session may cause belly-aches, teary eyes and sore sides! Have your safety and health presentations become drab and dreary? Do your employees attend safety sessions with a kick in their step? Spruce them up with a little humor! Tim will present to you in a fun and light hearted way, how to engage your employees through the use of personal anecdotes, humorous video clips, storytelling and more. We all know that safety is a serious topic, but we can learn how to make safety training interesting and even fun! You just may find that by adding a bit of humor to your sessions, you will enjoy teaching the classes more than ever before and your students will remember the teaching points. This is a session that you just can’t miss. Brad’s education began early as part of father’s electrical business. The lessons learned were not always the “safest” way to get the job done but was the way it was done. As electrical safety has evolved so has Brad’s attention to detail. He spent twenty years in operations and maintenance as part of a large agricultural firm in Nebraska. Prior to joining IES in his current position Brad spent 13 years with Procter & Gamble. His roles included Electrical System and Electrical Safety Owner of the largest P&G pet food plant. In 2005 Brad’s plant became the first P&G plant in North America to achieve “NFPA Capable”. He spent his last two years with P&G as a plant Health, Safety and Environmental Site Leader. Brad is a qualified Procter & Gamble Electrical System Owner and NFPA 70e Trainer. Brad has been employed with Integrated Electrical Services, Inc. for 6 years focusing on NFPA 70E. He has trained in several states across the US. Electrical accidents can and should be prevented with the correct equipment and training available to us today.